We did it again! 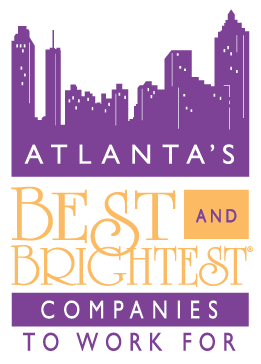 We’re excited to announce that firstPRO 360 was named one of Atlanta’s Best and Brightest Companies to Work For® in 2018 by the National Association for Business Resources (NABR). This prestigious award honours organizations that display a commitment to excellence in their employee enrichment and human resources practices. Companies that participate in this initiative undergo a rigorous two-part survey process in which both the employer and its employees complete a comprehensive survey to evaluate the overall work environment. An independent research firm then evaluates each company’s entry based on key measures in various categories, including Compensation, Employee Enrichment, Engagement and Retention, Communication and Shared Vision, Community Initiatives and Strategic Company Performance. Thank you to everyone who contributes to our company and it’s a success!